What is Link Juice and how does it work? Home What is Link Juice and how does it work? It is likely that you have heard about different terms related to SEO, but perhaps you are not familiar with the concept of “Link Juice” or maybe you’ve never heard of it. If so, don’t worry! It’s totally normal that if you don’t work professionally with SEO, you don’t have advanced knowledge about each of the techniques that are used in this sector. So today I’m going to talk about SEO again on the Mailrelay blog; So now, you can recharge your batteries and enjoy a little technical content, but very practical and enjoyable (or at least that’s the intention). Also, while it may look familiar and you think you know what is link juice, I recommend you join me in this article because, in addition to defining the concept, we will’see some practical examples that I hope can help you improve your results. What is link juice, how does it work and what are the different types. Basic tips for understanding how link juice works and how to handle the links in your SEO positioning strategy. Having said all that, and looking forward to sharing opinions with you, I invite you to leave a comment before leaving this post if you are interested in this theme. 1 What is Link Juice and what is it for? 1.1 What is link juice? 1.3 And what is “Page Rank”? 2 How does link juice work? 2.3 How to include nofollow links in your content? 2.7 Why you should follow a strategy before working with link juice for your internal URLs? What is Link Juice and what is it for? It doesn’t matter if you have heard of this concept or not, today, we will review it with you. So before explaining what it is and how it works, I’ll give you two reasons why link juice is very important for your SEO strategy. 1) is used for something as useful as redirecting the visitor to the home page of your site (thus improving the usability of the website), or to another page, with related content, to try to create engagement with the visitor on a regular basis. 2) It also mainly serves to increase the authority of your domain or its content, thanks to the links, references and mentions on social networks (if you have worked with link juice consistently, of course). Now that we are going to start to see this technique more clearly, it’s time to explain what link juice is, but first, I have to speak briefly about another concept; The “Page Rank” (or page authority). What is the relationship between these words (page rank and link juice)? The term link juice, is a technique used in SEO to transfer the authority between different URLs, with the inclusion of internal links. What is known as page authority or precisely Page Rank. And what is “Page Rank”? Page Rank is the authority of a page according to the various categories of Google (depending on several factors). Here we must make a distinction; When we speak of domain authority (and Not page), we are talking about “Domain Authority”. Do you understand this so far? 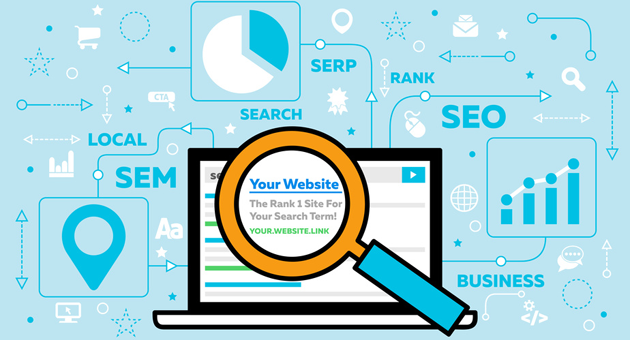 Well, you should know that all URLs or internal pages of your website, although perhaps you were not aware of it, are cataloged by a unique or specific page rank, which gives them a higher or lower position in the Google Ranking (among other factors). This is an index or factor (ranging from 1 to 100according to Moz and from 1 to 10 according to Google), whereby the URLs will have more or less chance to position themselves on the first pages of Google. And how can you get a better page rank? Well, here is where link juice comes into play, because this positioning can be achieved through the transfer of authority through links (with other techniques, such as link building). So the more sites that link your URLs, the better for your strategy. In addition, you must understand that you can achieve a higher authority to the page through links of any kind (internal or external), but using link juice techniques, you can control only the authority that you transfer via links to URLs from your domain or to other pages. Another basic SEO technique about which you have no control. Do you realize the great advantage of link juice? It is a technique over which you have control; You are the only person responsible for “manipulating” the transfer of authority from your URLs or for other pages. External link juice: In case you include links to other pages or external URLs. Internal link juice: When you apply this technique to transfer authority between your internal URLs. For you to understand how to work with both types, we will explain them below with Examples, but now we will see how link juice works in a General way. We have already seen that link juice is a technique that aims to improve rankings through management of internal links based on page rank or page authority, transferring reputation between URLs (internal or external). How much authority can be transferred from one URL to another? URL1: This is an internal page in our domain with a page rank or page authority of 37, where we will include a link to an URL2. URL2: The second internal page, which is being used in the first page, will receive some of the rank of the URL1. When I say “transfer” it really means “Share” because URL1 would retain its authority (37). URL2 receives a “part” or “percentage” of the authority of the URL1, which will depend on how many links were included in the URL1. If on URL1 you only include a link to URL2, this URL2 will receive 37 page rank points. If URL1 includes 10 links (including one for URL2), the URL2 will receive 10% of the URL1 authority. That is, 3.7 points. Although here it should be explained that this is only an estimate, since other factors will influence the page rank, but with numbers it is possible to have a clearer idea of the process. Seeing all this, and having made clear the great advantage of the application of link juice techniques to improve rankings in Google (as you have control over this strategy), it would be foolish not to take advantage of these techniques, don’t you think so? So in this section I would like to leave a series of recommendations to guide you, so you know where to start. Ultimately, without a defined strategy, it is not possible to get good results. Specifically, I’ll give you two basic tips for creating internal link juice for your website. Always try to give priority to the home page of your site: This page usually is the one that receives the most amount of links from other external sites and therefore it will have a higher page rank. So try to keep this in mind when planning your strategy and consider sharing that potential with other internal URLs. Link juice reciprocally to the home page: You can work this cycle reciprocally, transferring authority between several pages of your website. So far, the recommendations are basic, but if you keep reading, possibly you will understand other more practical concepts. Why? Do you know how to work with all the links you will include in your site? By implementing these techniques and applying them to A SEO strategy, some questions may arise, such as, how many links should be added for the same page ? Can the use of strategies for transferring authority damage the reputation of my domain? I don’t want to scare you, but the truth is that having control over something and deciding what strategic actions to take, always involves some risks, and link juice is no exception. Remember, having control over your internal links and managing the transfer of authority is important, but the number of links you include in the same URL, will affect the results and in this case, you will transfer less authority to the URL (Whether from your website or from another domain). The hardest part is knowing how to find the perfect strategy, and my advice is that you should always try to keep a good balance between the number of URLs you add. Not all internal pages of your site need to be indexed. For example, pages such as “legal information”, “About Me” or “Contact”. Therefore, you don’t have to transfer authority to all URLs. If you need to include links, but you want to avoid this, you will need to use nofollow links. How to include nofollow links in your content? You can use a plugin that allows you to select this option or just include the tag rel =”nofollow”. This will ensure that the authority of the URL will not be wasted and will not be transferred to URLs you don’t want to rank. Think of those articles that mention hundreds of tools or external sources. If you have a blog, you probably already thought about posting such an article. Do you realize the amount of page rank that you would be giving? Think about it and take action on this! If you’ve followed me so far it’s because at least you are concerned about how to transfer page rank between URLs correctly, aren’t you? So I think it’s important to review everything we learned today with some examples. These are the links you create with external URLs, and therefore you transfer authority from your URL to other pages. Unless you are interested in positioning these other pages, you should consider the idea of using nofollow links or at least keeping track of the links you add, so as not to “give” authority without any criteria. If a home page has a X authority (for example 42) or an internal page has a rating of X, the transferred authority for other sites will depend on the number of internal links contained in the page. That is, if it contains 10 links, you will only transfer 10% of the authority for each URL, ie 4.2 for each URL (remember that this is just an estimate, since other factors will influence it as well). Although the steps for working with link juice are the same when you are transferring authority to your URLs or to external sites, when you do this internally, you must follow an even more objective strategy. Why you should follow a strategy before working with link juice for your internal URLs? Very simple. Because the more links you include in a URL, the less authority you will be transferring and depending on how it is done, this may end up negatively affecting your overall strategy. For example, imagine that your home page has a domain authority of 35 and that you intend to transfer authority to a page that has a very low page rank and that you are interested in receiving traffic to generate conversions. So far so good. But you will start facing problems when you stop to check the links that already exist in the main page of your website; If you had four links and you would be transferring 7 points of authority to the new URL (35/5), but, in turn, you would transfer less authority for the 4 original URLs. So before you do anything, you should check all your URLs and internal links, to decide with which URLs you will work, to make sure you are only transferring authority too important URLs. With all this, I will say goodbye, until my next article, when I hope that we will continue to share knowledge about SEO and, above all, to be able to discuss the most effective techniques for your website or blog. After all, in SEO, everything evolves very quickly and we should learn from each experience. So tell me, what do you think of a link juice strategy? (Español) ¿Por qué apuntar al linkbuilding? “¿Y qué es entonces el “Page Rank”? COMENTARIO 2: Esa defición no es precisa en general. Link juice is a colloquial term in the SEO world that refers to the equity passed to a site via links from external or internal sources. Wonderful article. Thanks a lot for sharing it. Lo dicho enhorabuena por el post!!! ¡Gracias por el comentario Gerard! Vou revisar todo o meu site e ver se estou usando a forma correta na hora de aplicar o link juise. Link Juice não sei muito a respeito quando recebi um email dá mailrelay falando a respeito, foi de grande valor esse artigo, vou pesquisar mais sobre o assunto. Realmente se a gente fizer um bom linkbuilding em nosso site com link juise de qualidade, as chances de chegar nas primeiras posições do google é bem melhor..
Ola Daniel Bocardo, muito bom mesmo o post preciso muito de aulas de seo.